©iUFOSightings. UFO Sightings transforming UFO. Look at this amazing UFO footage we just received. It is just stunning and is a sight to behold. The footage comes to us from Europe. This UFO is clearly changing right in front of our eyes. Look at this UFO what is it made out of? It seems to be some kind of metal but it is morphing so is it liquid metal? Proof positive on this UFO Sighting. UFO Sightings is it alive? Look at this amazing UFO footage form what seems to be underneath a bridge. The source headed back to work on the weekend because he forgot his lunch box and some tools. When he got out of the car he witnessed this UFO. The UFO seems to be alive in that it is changing shape. It also seems to have bubbles popping up on its surface. This is excellent UFO footage. Look at this amazing footage. Is it an Alien? What is going on over here? The source and his wife finished eating dinner and were walking out to the car when they saw this thing flying up in the air. Here seems to be some weird distortion on this UFO. UFO Sightings Satellite Feed. This is some incredible UFO footage that has just been released to us. What is going on over here? 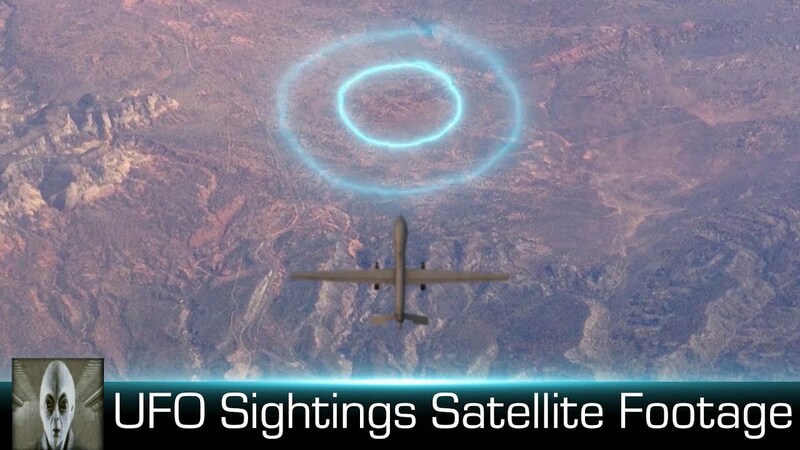 The footage shows a drone monitoring a UFO. The UFO then descends into the earth. The Drone follows the UFO. The UFO footage seems to be glitching out as the footage goes on. This is excellent UFO footage. Thanks for watching don’t forget to subscribe. New video everyday!! !